Dave's Dominion | My opinion, rantings, blather, etc., about many things or nothing at all. Dave's Dominion...Where opinion, news, and fact sometimes converge into one glorious mess! Just for some background, I’m not writing this open letter as an angry far-left wing liberal zealot. Other than a few naive years as a teen, I’ve been a staunch conservative and defender of individual liberties and an unabashed patriotic American. More recently, I’d describe myself as a conservative libertarian, at odds with the entrenched power and money-hungry leadership of the Republican party, while agreeing, for the most part, with their policies. At the moment, I can’t think of much that you and I disagree on politically speaking. If you don’t believe me, go ahead and read the posts on my blog, Dave’s Dominion, and I’m sure you’ll agree with most of what I have to say there. I know what you’re probably thinking. Actually, I think you already commented on that today when you said “screw them” to the “word police”. Being the word police is not my intention. I fully support your and everyone else’s right to use whatever words you wish to use, even ones that are personally offensive to me. If someone were to try, by use of force or law, to prevent you from using that word, I’d be one of the first in line to defend your right to do so. I’m not a free speech denier by any means. However, as the parent of a special needs child, your use of the word “retard” in this context is offensive to me. One of my favorite sayings is “He who is offended by nothing likely cares little about anything to be offended by in the first place.” I care deeply about this issue. Parents of special needs kids know the feeling that word evokes. Look, no one would refer to a Down Syndrome child, someone with an actual mental handicap, by saying ‘retard.’ Where do you think the words ‘imbecile,’ ‘idiot,’ ‘moron,’ ‘cretin’ come from? These were all technical terms at one time. ‘Retard’ had been used colloquially to just mean ‘loser’ for 30 years. But no, no — these aggressive victims have to come out and tell you what words to use. Your above statement is technically true. However, unless you’re the parent of a special needs child yourself, it’s difficult to describe the feelings and images the word “retard” dredges up. These are the feelings of knowing that your child, as much as you love them, will never measure up to other “normal” children. It’s hard for me sometimes to listen to other parents brag about how their child made the Honor Roll at school, has a genius level IQ, or whatever the astonishing accomplishment is. Those are good things and, in a way, I’m happy for them. The sadness comes in the thoughts about my child never having a “normal” life. I accept my child for how she is and love her deeply but, at the same time, I think all parents have visions when their child is still an infant of how the future will be for them and when the realization sets in that there are going to be a lot of obstacles to that future, we go through a period of real mourning. That’s not to say that we’re constantly depressed about the future and running around saying “Woe is me!” but there are certainly times of worry and mourning over what it holds for them. With great admiration, I read another open letter to you from John Franklin Stephens, a young man with Down Syndrome. As previously stated, this letter probably does little to convey how parents of special needs kids feel about your use of the word “retard”. My hope is that you’d at least consider it as coming from something other than an attempt at being the “word police” but from someone who cares deeply about their special needs child. Count me among the majority that enjoy a good movie, especially when times are tough and I’m trying to get my mind off the depressing news of the day. It helps me unwind and centers me, so I don’t get too focused and wrapped up in what’s going on in the world of current events, politics, and the other junk that tends to clutter my mind sometimes. On the other hand, I don’t particularly care for actors and actresses in those same movies who speak out on their political views. When I see a movie, listen to music, or read a book, I don’t want to associate a particular actor’s, musician’s, or author’s political views with their work. I want to enjoy it for what it is. Yes, they obviously have the right to do so but it seems like a lot of them also seem to believe they’re privileged to knowledge from on high that the rest of us don’t have access to. 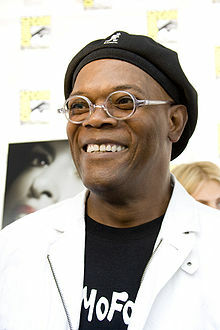 Case in point, Samuel L. Jackson. Consider the below video regarding his support of Obama for President and apparent disdain for Republican candidate Mitt Romney. In the first scene, Jackson’s initial swipe at Romney is that he’s an “out-of-touch millionaire”. Hmmm…A little class warfare right off the bat there, Mr. Jackson? This little nugget seems a little disingenuous considering Jackson likely makes far in excess of what most Americans will make in their entire life. Of course, Mr. Jackson fails to mention Romney’s generosity and that he gives far more of his income away than does Obama or Biden. Romney’s charity also does not extend only as far as the spotlight reaches. Most of his charitable giving has been away from the camera lights of the press. Jackson then goes on to claim that Romney has declared war on schools, the environment, and “fair pay”, without giving any details, of course. He then mentions that Romney’s “against safety nets and if you fall, tough luck!” All this is fine and dandy posturing but without any specifics, there’s not much to comment on here. But it certainly makes for good talking points straight out of the Democrat playbook to make the “out-of-touch millionaire” into an evil son of Satan. Demonization…Ah, yes, the tool of the ignorant. The next scene may be the most unbelievable of all…The claim made by the little girl is that Mitt Romney is no fan of civil rights and that he’s OK with “voter suppression”. The underlying and unspoken accusation here is that Romney is a racist. Enter the proverbial throwing down of the race card, a move reserved for those incapable of stringing together more than two brain cells at a time. In typical fashion, the term “voter suppression” isn’t specifically defined but I’m certain they’re referring to voter ID laws. Unfortunately for Mr. Jackson, most polls show that a vast majority of the public, around 70%, support voter ID, a number that crosses political and racial boundaries. In at least Indiana (considered to be the most stringent voter ID law in the country) and Georgia, voter ID has actually led to an increase among minority voters, a segment of the population that alarmists claim are being suppressed by such laws. Another claim the young girl makes in this scene is that Romney is not worried about the poor, something that Romney has just flat-out never said nor indicated. A straight up lie by Mr. Jackson. Mr. Jackson then makes his appearance in the scene and says that Obama sent seals to Bin Laden’s place and that Romney “sent jobs overseas”. This has been thoroughly debunked already by organizations like FactCheck.org. Consider their article on “Obama’s Outsourcer Overreach“. This is coupled with the fact that, during Obama’s presidency, he’s responsible for the largest shift in wealth from America to overseas than any administration before him. Two scenes later, Jackson claims that, if elected, Romney and Ryan will gut Medicare. Obviously, he fails to mention that the Obama administration has already proposed its own changes to Medicare, those that would be similar to what he claims Romney wants to enact, that result in approximately the same cuts. Both campaigns have pointed out that the other is wanting to cut about $700 billion from the program. Yet again, a hypocritical claim from the Obama camp. There are a few other accusations floated here also but I think you get the point. Don’t get me wrong…I love many of Jackson’s movies but I’m not a big fan of his politics. I’d at least respect him a bit more if he put more thought into it than simply repeating the brain dead talking points from the DNC about Romney, the “out-of-touch” millionaire. Mr. Jackson, until you get your facts straight, instead of telling us to “Wake the F*** Up!”, maybe you should just “SHUT the F*** Up!”. You know the type…They’re the folks that seemingly love to draw people into an argument, feeding off the negative reactions of those around them. They’re the self-appointed guardians of intellectual superiority, with the supernatural ability to be the judge and jury of the hopeless sinners left in their proverbial wake. 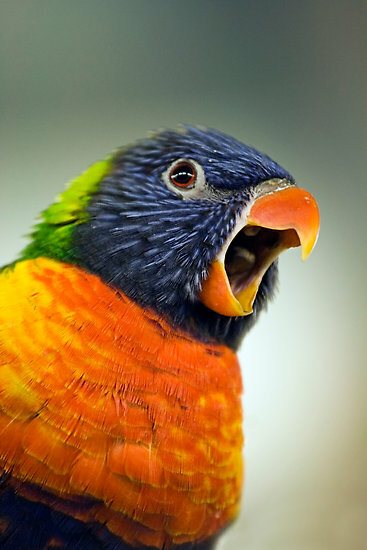 I like to call them “The Squawkers”. In my experience, there are four main types of this particular species. These four types can include all spectrums, ideologies, and political parties. Type #1 is the race baiter. The race baiter, normally a hard-left liberal, will typically turn any argument that even remotely includes someone of any particular minority into an accusation of racism against the other party. This type doesn’t care if the target is part of the imagined slandered race or not. In their rose-colored world, anyone that dares disagree with them on race-related matters is automatically stamped with the “RACIST!” label and is summarily relegated to subhuman status. It doesn’t matter if the target is interracially married, with mixed-race children, living in an integrated neighborhood, with close friends from India, Brazil, Abu Dhabi, and the South Pole. That target is the scum of the earth. They’d have to be because, well, it’s just too much effort to find more than a couple of brain cells to put together to make up any kind of intelligent argument to prove otherwise. Type #2 is the free speech denier. This type, like the race baiter, eventually reaches an intellectual wall, at which point the “You’re denying my freedom of speech!” card is tossed on the table. No matter how many times or different ways you explain that someone has the right to say something but that they maybe should use some self-restraint in what they say, you’re automatically slapped with the free speech denier label and intellectually shipped off to Neverland. Type #3 is the lack o’patriotism claimer. This particular type, usually a hard-right individual politically-speaking, thinks anyone against war for any reason at all must hate their country with an unbelievable passion. Why, those folks are dope-smoking, flower-in-hair wearing, pinko-commie, pansies who ought to be living in a commune somewhere in the wilderness of Canada! Lastly, type #4 is the hater…This is probably the most widespread type and isn’t relegated to just political issues. If you think REM sucked rocks and you’re glad they broke up yesterday, then you’re a hater…OK, I’m just kidding on that one. Anyway, this label is quite frequently used when someone disagrees with something like gay marriage, abortion, and other social issues. If you’re against gay marriage, you’re an anti-gay bigot. Think abortion should be outlawed? Well, then you must hate women and want them to die in a back-alley abortion performed by an unqualified doctor with an infected coathanger. And don’t even think about opposing universal healthcare, you hating hater who hates! Do you get the point? It’s so easy to fall into the trap of shutting down the intellectual response in favor of the emotional. Yes, emotions play a part in almost any discussion. Many people believe passionately about certain things and I believe it should always be that way. It doesn’t bother me if someone passionately disagrees with me. I respect it when someone will argue with me, defending their point when they clearly believe in what they’re saying. It shows me they care. However, it can be taken too far as described in the four types above. These are the folks who go overboard and allow emotion to override everything else. There’s room for both logic and passion in my world. 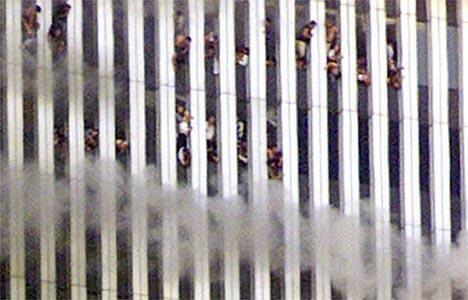 I wrote this for last year’s 9/11 anniversary and, since it’s been getting so much traffic on my blog recently, I thought I’d bring it back again this year. I can’t think of anything more appropriate anyway. This is in memory of those who perished on 9/11, almost ten years ago to the day. May God bless the families who will relive that day. In the four years since I started blogging and only really two years blogging on a regular basis, I haven’t really even thought of putting my own words about my memories of 9/11 to paper…Or to screen, in this case. However, earlier today on the way home, I listened as former New York City Mayor Rudy Giuliani was interviewed regarding his memories about what happened back in 2001. When asked about what memory was most etched in his mind from that day, he recounted the painful memories he has of being close enough to the two devastated towers to witness trapped World Trade Center workers leaping from the wreckage and flames to certain death near or over 100 stories to the pavement below. 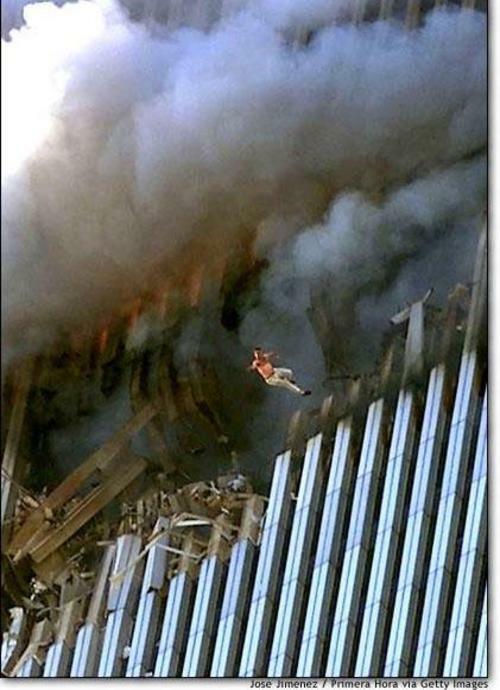 The picture you see above is of one of those desperate souls who perished that day. On 9/11/2001, I was at work in downtown Indianapolis on the 17th floor of what is known as the “Gold Building”. There are several buildings considerably taller than the Gold Building but it stands out due to its gold-colored windows, causing it to distinguish itself from other buildings in the Indianapolis skyline. Shortly after 8:45 AM, Deb, our office manager hurriedly moved through the office saying something about an airplane striking one of the Twin Towers in New York City. I guess at the time we were certainly a little stunned but it had probably not dawned on anyone just yet that a terrorist attack was under way. We had a small, portable black-and-white television set that Deb had set up in her office as the news played, informing us of what was going on. Honestly, after hearing about that first plane crashing into the tower, I don’t remember much detail of what we learned over the course of the next hour or two. I do remember hearing about the second plane and realizing that it was now certainly no accident and then we heard a little later on about the plane striking the Pentagon. By this time, there was little work being done as we all tried to keep track of more pressing matters. Then we heard about another plane possibly heading towards Washington on a similar mission and, shortly thereafter, crashing in Pennsylvania. By this time, I remember feeling pretty numb, the kind of feeling you get hearing about the unexpected passing of a loved one or receiving bad news from the doctor. Also by this time, emergency responders all across the country were preparing for the possibility of similar attacks occurring in their own localities. We were told that we could go home if we wanted. I didn’t see much point in staying since there weren’t many, if any calls coming in to our support department, so I decided to head home. After arriving home nearly 45 minutes later, listening to the news on the radio the entire way, I planted myself in front of the TV and watched in stunned silence the news coverage of the events of the day being played on nearly every channel, including many of those that never covered the news. That’s pretty much all I did for the rest of that day. I honestly don’t even remember if I went to work that next day, which would have been a Wednesday. I think I must have but it’s mostly a blur by now. Listening to Giuliani’s account of what he experienced that day, I wept as I thought of the despair that those people in the towers must have felt that day. I cannot even begin to fathom how hopeless that must’ve felt to be trapped on the floors above the initial devastation. I’ve found it horrifying enough to have had dreams where I was falling and the helplessness I felt from it, to say nothing of actually falling to certain doom. What must the man in the above picture have been thinking in his last few seconds alive, knowing that he would not wake up to see his family the next day? What of those who made last-second phone calls to their spouse or child, knowing that the person on the other end of the call would soon be without their husband, wife, father, or mother? What went through the minds of those responders who rushed fearlessly into the soon-to-collapse towers in the hopes of saving maybe just one more person? One of the sights I remember from that day as I looked east out the windows of the 17th floor of the Gold Building was that of a rainbow circling the sun. I’d never seen anything like it before and perhaps my mind and/or eyes were just playing tricks on me. I don’t even know if something like that is possible but I took it as a sign that, despite the evil that had occurred that morning, much good would or could come from it. Time really did seem to stand still that day. May God bless and heal the families of those who lost their loved ones on 9/11/2001. A few years ago now my middle son, Blaine, made the big transition to first grade. That’s a huge step for any child – leaving the comfort and safety of Mom’s side, spending all day at school, being among the “big kids.” But Blaine’s a very outgoing and winsome boy, a born leader, and we knew he’d handle it swimmingly. Every night at the dinner table he regaled us with tales of the day’s adventures. It was fun to recall with him the joys of those early school days – a shiny new lunchbox, brand-new yellow No. 2 pencils, a box of Crayolas with a built-in sharpener, a new desk, and new friends. We heard all about his new teacher, gym class, what they played at recess, how he was emerging as a leader in all the games. But then one night he was silent. “What’s wrong, Tiger?” I asked. He wouldn’t say, wouldn’t even look up. “What happened?” He didn’t want to talk about it. Finally, the story came out – a bully. Some first-grade poser had pushed him down on the playground in front of all his friends. Tears were streaming down his cheeks as he told us the story. “Blaine, look at me.” He raised his tearful eyes slowly, reluctantly. There was shame written all over his face. “I want you to listen very closely to what I am about to say. The next time that bully pushes you down, here is what I want you to do – are you listening, Blaine?” He nodded, his big wet eyes fixed on mine. “I want you to get up…and I want you to hit him…as hard as you possibly can.” A look of embarrassed delight came over Blaine’s face. Then he smiled. Good Lord – why did I give him such advice? And why was he delighted with it? Why are some of you delighted with it?, while others are appalled? Yes, I know that Jesus told us to turn the other cheek. But we have really misused that verse. If you take one passage of Scripture and hold it up while ignoring all others, you will come to absurd conclusions. Paul said, “It is good for a man not to marry” (1 Cor. 7:1). Well then – no man should marry. Jesus said, “If you want to be perfect, go, sell your possessions and give to the poor…” (Matt. 19:21). Then why do you still have possessions? Do you see the foolishness of this? If Jesus intended to teach us, “Never resist a bully,” why does he also tell his disciples, “But now if you have a purse, take it, and also a bag; and if you don’t have a sword, sell your cloak and buy one” (Luke 22:36). Buy a sword? “The disciples said, ‘See, Lord, here are two swords.’ That is enough,’ he replied” (Luke 22:36). He arms them. And that little matter of making a whip and using it to clear the temple – that doesn’t seem like turning the other cheek, now, does it? 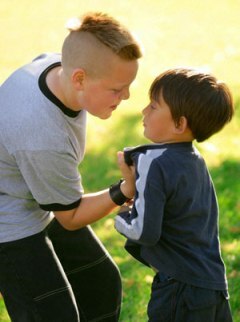 We do not want to teach boys that bullies should never be resisted, and we do not want to teach bullies that they can get away with it! Yes, Scripture teaches the wise use of strength and the power of forgiveness. But you cannot teach a boy to use his strength by stripping him of it. Jesus was able to retaliate, believe me. But he chose not to. And yet we suggest that a boy who is mocked, shamed before his fellows, stripped of all power and dignity should stay in that beaten place because Jesus wants him there? You will emasculate him for life. From that point on all will be passive and fearful. He will grow up never knowing how to stand his ground, never knowing if he is a man indeed. Oh yes, he will be courteous, sweet even, deferential, minding all his manners. 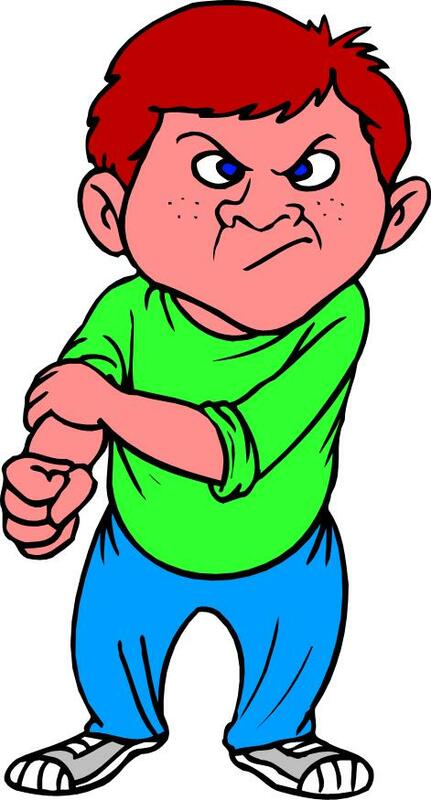 It may look moral, it may look like turning the other cheek, but it is merely weakness. You cannot turn a cheek you do not have. Our churches are full of such men. At that moment, Blaine’s soul was hanging in the balance. Then the fire came back into his eyes and the shame disappeared. Now, I gave that advice to a boy I could trust who was at the time in first grade. I did not give this advice to a high school boy whose enemy might pull a gun on him. There is wisdom and context. But we must not strip a man of strength and call it sanctification. Yet for many, many men their souls still hang in the balance because no one, no one has ever invited them to be dangerous, to know their own strength, to discover that they have what it takes. I guess I’d never really looked at that whole “turn the other cheek” passage in that way. I’ve never really believed that Jesus was quite the passive man that he’s often made out to be. You know, the guy in all those Biblical movies that has that meek look on his face all the time, devoid of much emotion or strength, and seemingly floating two feet off the ground and never really engaging anyone in the process. On the other hand, I probably never really pictured him as the angry, driven man who chased the moneychangers out of the temple, either. Regardless, Eldredge makes a great point here. I’d put it another way…God doesn’t want me, as a Godly man, to be a limp dishrag. Yes, there are times when I should keep my calm, turn the other cheek, etc., following the example of Jesus. However, there’s another part of me that needs to passionately engage, to fight strongly for what I believe in. One of my favorite sayings is “If you’re offended by nothing, you likely don’t care enough about something to begin with.” Point being, there SHOULD be things that we get riled up about and offended by. Should we be offended by everything? Obviously not, but I think Christians have, for too long, fallen into the trap of thinking that we need to just be nice, fall into line, and keep the peace for the sake of our testimony when there are times, in my opinion, that we need to stand up and fight with the kind of passion that Jesus had when he drove those crooks out of the temple. I’ve been struggling with coming up with anything to write here recently or even just being inspired to write SOMETHING, for that matter. Thinking about that, the following song came to mind, my favorite song by one of my favorite bands, Dream Theater. Other than the obvious topic about trying to put down thoughts to paper, I find some significant truths in the lyrics that the writer may not have intended. For instance, part of the lyrics say “So I wither and render myself helpless. I give in and everything is clear”. As a believer in Christ, that’s a great way t o state a truth fundamental that I need to follow more closely in my own life, which is that I never really find what I’m looking for in Jesus until I “Wither” to myself and allow His spirit to make everything clear to me. That isn’t a withering that makes me someone who I’m not but, conversely, who God had created me to be in the first place, the real me. My SAS (Short Attention Span) personality forced me to take a break from writing a follow-up to my previous article about Rob Bell’s new book “Love Wins” when I started thinking more about a topic I’ve delved into in my spare time recently. The above comment is from “The Message” author and pastor Eugene Peterson. Regardless of the fact that there are a plethora of Bible translations available in readily understandable, modern English, I still have to question some of Peterson’s work in this particular Bible version. With a God like this loving you, you can pray very simply. Like this: Our Father in heaven, Reveal who you are. Set the world right; Do what’s best– as above, so below. Keep us alive with three square meals. Keep us forgiven with you and forgiving others. Keep us safe from ourselves and the Devil. You’re in charge! You can do anything you want! You’re ablaze in beauty! Yes. Yes. Yes. There are several problems with Peterson’s translation of this passage, in my opinion, but I’d like to focus on the text in bold. Instead of the phrase that we are so used to in the English language, “on earth as it is in heaven”, Peterson instead mysteriously uses the phrase “as above, so below”. This phrase is heavily tied to the doctrine, or belief, of Theosophy. The phrase actually originates from the beginning of The Emerald Tablet. This tablet is a text that claims to reveal the “secret of the primordial substance and its transmutations” and is claimed to be authored by Hermes Trismegistus, a combination of the Greek god Hermes and the Egyptian god Thoth. “As above, so below” — a “great word,” a sacramental phrase, a saying of wisdom, an aphorism, a mystic formula, a fundamental law – or a two-edged sword of word-fence, that will probably do the wielder serious damage if he is not previously put through careful training in its handling? Whether this famous “word” is of Hermetic origin or no, we will not stay formally to enquire. In essence it is probably as old as human thought itself. And as probably, the idea lying underneath it has been turned topsy-turvy more frequently than any other of the immortal company. “As above, so below” doubtless enshrines some vast idea of analogical law, some basis of true reason, which would sum up the manifold appearances of things into one single verity; but the understanding of the nature of this mystery of manifoldness from the one – all one and one in all—is not to be attained by careless thinking, or by some lucky guess, or by the pastime of artificial correspondencing. Indeed, if the truth must out, in ninety-nine cases of a hundred, when one uses this phrase to clinch an argument, we find that we have begged the question from the start, ended where we began, and asserted the opposite of our logion. Instead of illumining, not only the subject we have in hand, but all subjects, by a grasp of the eternal verity concealed within our saying, we have reversed it into the ephemeral and false proposition: “As below, so above,” Deus, verily, inversus est demon; and there’s the devil to pay. But fortunately there is some compensation even in this in an illogical age; for, as all the mystic world knows, Demon is nothing else but deus inversus. I’ve heard it said that Peterson could have just accidentally translated the phrase this way, not intending it to be the occult phrase described by the above quotes. If this was the lone instance of such a phrase, I could possibly see that. However, due to other similar problems with the text of “The Message”, I seriously doubt it. The Greek word “phos” is what is rightly translated into “light” in our English Bible. Where Peterson gets “Life-Light” out of this word is beyond me. There are two more places (verses 7 and 9) in this first chapter of the Gospel of John where Peterson uses this term in place of the correct interpretation. Nowhere else in his translation does the term appear as far as I can tell. During the 2000 years Pisces has seen the spreading of the light. Aquarius will see the rising of the light, with Christ as the eternal symbol of both these great impulses. Humanity will move from the birth stages of the light within to the lifting of the life light in sacrifice, as we become the Risen Ones. Some scholars believe Bacchus or Dionysus to be the Green Man of the Greco-Roman period. Known widely as a god of ecstasy and divine rapture, he was also the god of vegetation. A simple Google search on the phrase “Dionysus green man” yields tons of references to this ancient pagan legend, including some rather eye-opening information on “The Pagan’s Path“. 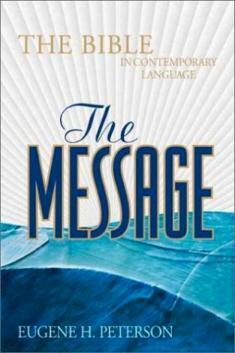 Lastly, I’ve heard the argument that “The Message” is not truly a translation but only a paraphrase. Reading the text of it, I would also likely come to that conclusion. However, Peterson, in his own words, says that is not the case. Consider the video below. At around the 17:45 mark, Peterson talks about how he didn’t want to go the route of a paraphrase because he didn’t want to do interpretation or explanation. 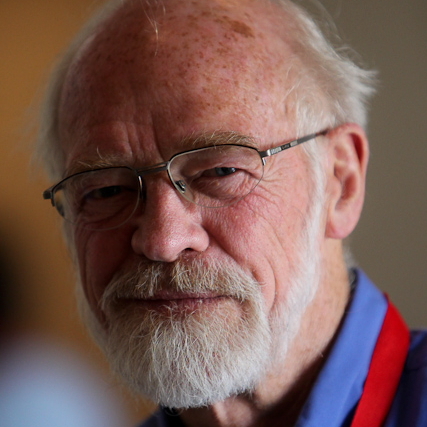 In summary and in my opinion, just the three examples I cited above make Eugene Peterson’s translation, “The Message”, a dangerous piece of work and something I wouldn’t recommend for anyone’s use as their main Bible translation. Did Peterson intentionally set out to produce a translation that was not only inaccurate but subtly or in some cases, blatantly occultic? I doubt it but, in the end, I’m not sure that it really matters. 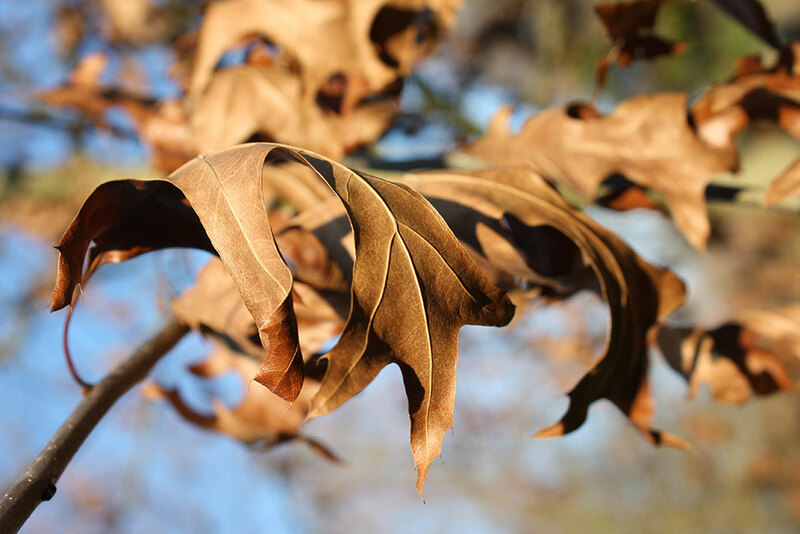 Emily Sutherland's Blog: A writer & hopeless optimist talks about life, faith and creativity.